Outfit your bed from top to bottom! 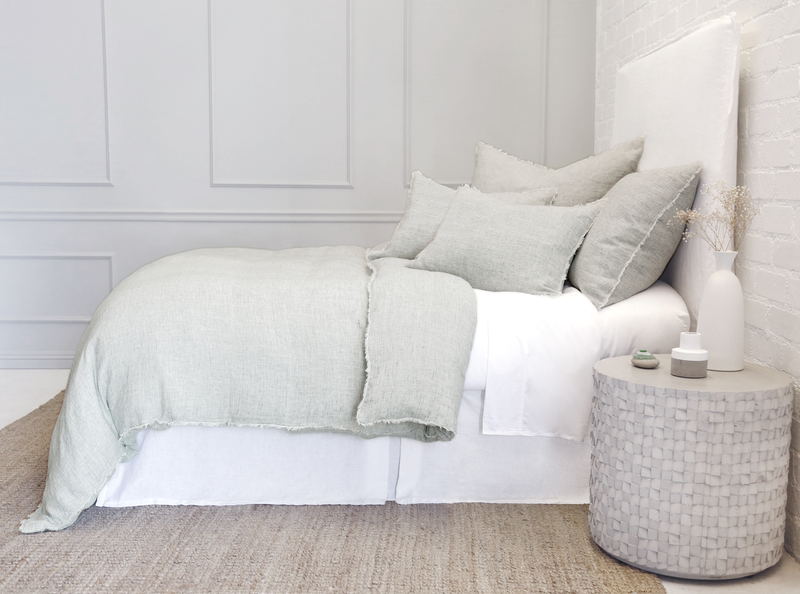 Creating a beautiful top of bed look is much like the art of pulling together the perfect outfit – every detail is necessary to make it complete. From bed coverings and sheets to pillow shams and decorative pillows to bed skirts, you’ll find it all across our properties. Lili Alessandra and Pine Cone Hill lines in the CODARUS showroom, along with Pom Pom at Home shown by J. Douglas, Ann Gish, Aviva Stanoff Design, and Classic Home comprise some of the category’s offering in IHFC. Eastern Accents (SAMS G-1000), Country Roads (SAMS M-7048), Luxe Sleep/Pandora de Balthazar (SAMS M-8037), Amity Home (SAMS M-7019) and Home Treasures (SAMS G-6037 Salon) are a few top of bed purveyors in the Suites at Market Square. Top of bed products can also be found in Market Square, Market Square Tower, Showplace, Plaza Suites and Furniture Plaza. Find a complete listing in the Exhibitor Directory.